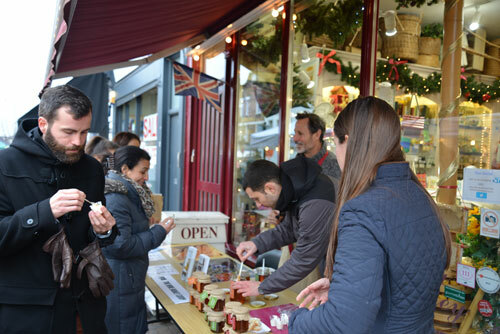 We had the best day giving out free honey samples to people passing by the shop. We had bits of bread and of course greek yogurt to drizzle these amazing collections of honeys over. 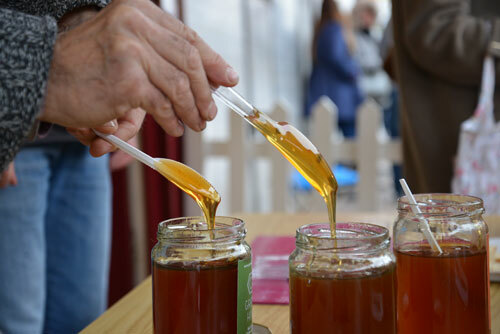 Antonios is my Greek honey man and he was on hand to help explain the differences between the Thyme honey, Fir honey, Pine honey and Mountain honey.